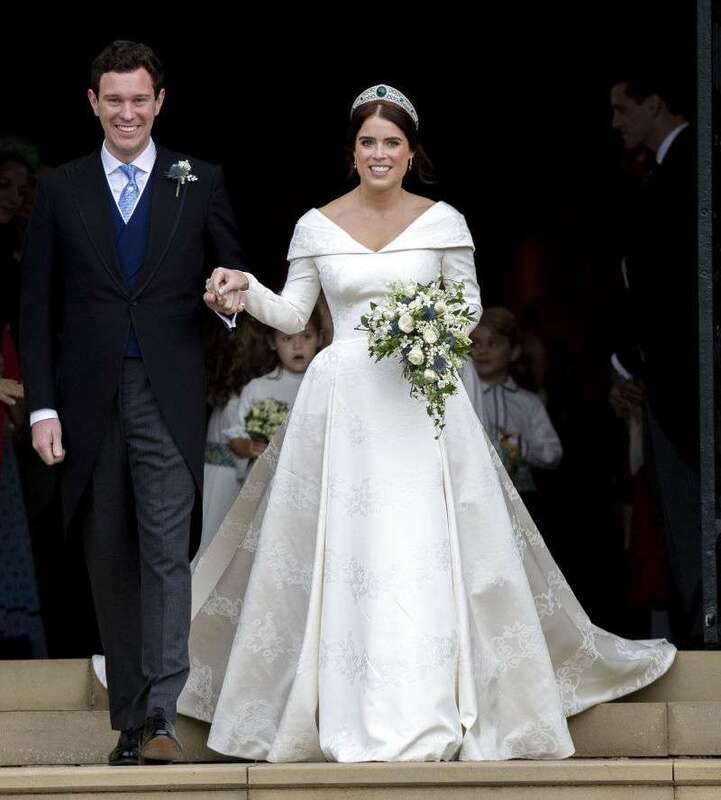 Princess Eugenie dazzled everyone with her incredible wedding dress, which was the embodiment of grace and beauty. The royal bride went down the aisle in the creation of Peter Pilotto and Christopher De Vos, turning heads and conquering our hearts with every step. But this stunning gown wasn't Eugenie's only fashion win of the day. Her reception dress was just as breathtaking, and we can't take our eyes off it. The newly wedded princess went with the evening dress designed for her by Zac Posen. The striking color was inspired by the blush of an English rose, and we can't think of a more perfect color to complement Eugenie's beauty. Posen paired the chic drapes with precise embroidery, which defined the bride's stunning figure and made her look as beautiful as ever. The designer's inspiration was Windsor, and we can definitely see the royal spirit in its colors and the wonderful silhouette. Princess Eugenie’s evening dress was designed by Zac Posen, who was inspired by the beauty of Windsor and the surrounding countryside. The White Rose of York is subtly embroidered on both the shoulder and back which hold together the cape. Eugenie wore the dress with diamond and emerald drop earrings, which were a wedding gift from Jack Brooksbank. The public immediately fell in love with Eugenie's reception dress and shared their adoring comments. She looks stunning. What a beautiful bride! What did you think of the royal bride's second dress?